OK, so I’m a man. I am going to preempt this post by saying that his is an attempt to explain my understanding of an issue which I may be completely wrong about. But I think it’s valuable to express it anyway, just in case I might flick on a light bulb for some people. Many atheists used to be theists. If this is true for you, then there was a time when they were involved in questioning your beliefs, and during that time you probably had conversations with atheists who were attempting to provide evidence, logic, etc in order to get you to see a point. For whatever cognitive reasons, your past self was just not seeing it. But over time, you started to digest the ideas, have them incorporate themselves into your mind, and one day it just sort of clicked. It just made sense, perhaps suddenly, perhaps a little at a time, but one day it just made sense that belief in a god is not rational nor justified. You were not necessarily exposed to a new idea, but you were exposed to a new perspective that shifted how you saw the issue. I am willing to bet that a lot of what delayed this ‘getting it’ was trying to engage with the information. A theist hears a logical point from an atheist, and they have to try and employ their current worldview against it; their mind has to address it with what content it already has. In short, they are trying to respond to it as part of an intellectual conversation. Privilege is a tricky concept. One of the important aspects of it is that if you have it, it works to blind you against seeing it. In our culture, belief in god, mostly the God of Abraham, is widespread and the tradition called “Christianity” has a privileged position. I’ll bet that most ex-Christians didn’t understand the privilege that theism and Christianity had before they started living as out-of-the-closet atheists. And now that they are out of the closet (I hope, anyway), they start to understand that privilege because they see it from a new perspective. Just like the theist could not understand the atheist position, intellectually or in terms of the cultural privilege such belief comes with, many men are struggling with the concept of male privilege right now, and the relationship between these two phenomena should be enlightening. For our purposes here, the (mostly Christian) theistic ideas that many ex-theists are familiar with are analogous to the anti-feminist ideas which many of those same atheists still defend. Similarly, atheist arguments are analogous to feminist criticisms of mainstream gender concepts and behaviors. The atheist talking to the clueless theist (clueless in the sense that they do not yet understand either their privilege or the superiority of the atheist position) is therefore also analogous to the feminist talking to the MRA or someone like Ron Lindsay (also see Amanda Marcotte’s open letter to CFI) who simply is not getting why they are being told to shut up and listen. This is not about free speech. This is NOT about silencing dissent or quelling men’s place in the conversation. I will repeat. #ShutUpAndListen is not about silencing dissent, conversation, or about bullying forward an ideology. It’s about the fact that if you are not listening, you may not be in a cognitive position to understand because your mind is oriented along the lines of the mainstream idea being criticized. In this specific case of male privilege, it’s about how one’s position as a male in our society gives that person unconscious, automatic, and unintended advantages that they will not see by trying to engage by using it. One’s intellect is not in question here per se, but it is partially your intellect—your ability to engage with and converse about ideas—that is the cause of the blindness. By engaging by use of your perspective, which is privileged, you are using your privilege rather than trying to see it. There is a paradox at work here, in other words. It seems to me that this is very much like a Zen koan. If you try and use your intellect only to understand Zen, you will never understand the concept of Zen. 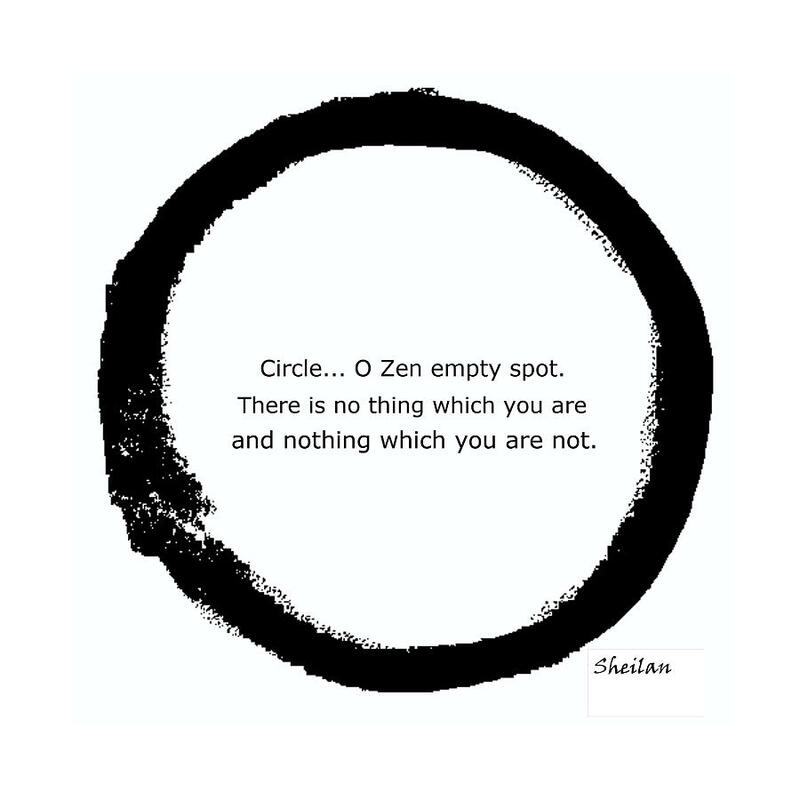 Zen is about transcending ourselves, consciousness-raising, etc. It is about allowing you to take yourself out of yourself so you can see yourself from another perspective. Once you see it, your perspectives shifts in a way that you could not have understood, or predicted, before the shift. After you see the shift, you can engage with it intellectually, but not before. Privilege is about perspective, perception, and is entwined with the very foundations of how we understand ourselves in relationship with other things. It is not an objective concept to be apprehended, it is a way we see such concepts. It is a method, not a fact. Think about how it changed the way you understand the world to understand that your previous religious worldview (for those that had one) was fundamentally wrong. Was it conceivable to understand what you understand now, then? When I first saw the shift of my own privilege (which happened much too late, when it comes to male privilege), it changed the conversation for me. And so now talking with men who do not get it yet is much like talking with a fundamentalist Christian. I simply cannot show either of those interlocutors either my atheist or feminist perspective, but I can talk around it. I can describe it and hope that they are listening to me, rather than thinking about their reply, but I cannot force them to. All ex-theists had to spend some time really listening, whether live or via reflection, to what an atheist has said to them about belief. Some may do this on their own and without external argumentation, through genuine introspection and self-doubt, but it amounts to the same. Understanding privilege is more about introspection than it is about understanding a concept. it’s about understanding how our mind works (or, more correctly, how it doesn’t). And that’s why we all, at some times, need to shut up and listen. It’s like meditation; we have to shut down our privilege engines, our verbal and intellectual powers, and watch the mind in action to see how it’s skewing the world for us. By insisting upon verbalizing it—by talking rather than listening or watching—we are not able to see the machine in action, and to fix it. So, whether it comes to gender, race, etc, shut up and listen. Sometimes, it’s the only way to understand.